It used to be that the argument was, “I don’t want to learn a foreign language because I’ll never use it.” But the reality is with technology bringing the world closer and closer together, there have never been more reasons to learn a foreign language. From increasing your job prospects to ample proof illustrating the health benefits of foreign language learning, here is a comprehensive list of why you should learn a foreign language now. 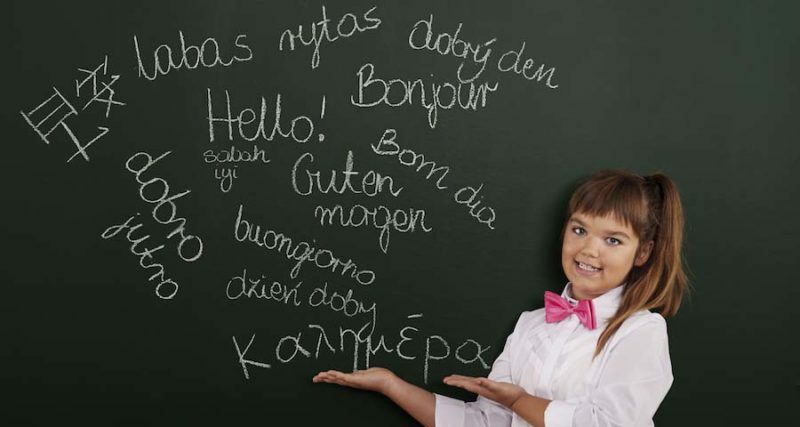 There’s plenty of scientific research on the brain benefits of learning another language. To put it simply, it makes you smarter and healthier in the long run. Learning a language increases your brain’s structure, building up synapsis that improves brain function. It promotes faster information recall and memory usage. It helps you become better at multitasking. And it also leads to better decision making overall. Finally, people who know more than one language are better equipped to fight off degenerative brain diseases like Alzheimer’s and dementia than their monolingual peers. Learning a second language can help improve your CV and get you into better universities. Universities view bilingual and multilingual students as better candidates when compared to those with the same level of academic performance but no second language. This is because they understand that the skills required to learn a second language transfer directly into academic success. Having a second language listed on your CV increases the likelihood that it will get looked over by hiring staff. We live in an increasingly globalized world where the ability to speak more than one language is an asset. And companies know the benefits of hiring bilingual employees give them that competitive edge. Businesses want people on their teams who can communicate fluently in a foreign language. This is because many companies work with clients all over the world. It can also improve career aspects by opening up more opportunities. That Italian language program will pay off when the company you work for needs a bilingual employee to transfer to Italy and is ready to reward you for your abilities. Learning a language teaches you how language functions. We’ve all learned how to speak, but many of us have forgotten much of that experience. Learning a new language reminds us, but it also forces us to reflect on our native language as well. From false cognates to verb conjugation, you’ll need to relearn how the “language stuff” works. And as a result, you’ll improve your communication, and you’ll learn to search for clues, figure out meanings, and remember root words. Each of these skills can translate back to a better understanding of your native tongue. There’s more to a country than its buildings. If you want to experience what it’s like to travel, then you have to meet the people. The problem is that if you don’t speak the language, this becomes difficult. While many countries are friendly and open to foreigners, you won’t get the full experience without being able to wrap your tongue around the language. Once you’re fluent in a foreign language, you’ll quickly find that the experience changes. It can make ordering the right meal off the menu easier while chatting to a server about the sites and experiences that are off the beaten path. People are friendlier and more open to those who speak their language, making for more pleasant interactions. And you’ll be able to communicate a natural interest in the local culture and people, opening the door to even more adventures. You never know; it may even get you a free dessert, a discount on an entry ticket, or a date. Speaking and understanding the language also makes it much easier to get around. While smartphones are handy, they don’t help with all aspects of arriving safely at your destination. Effectively navigating public transportation and finding the entry to a concert hall can ensure you arrive on time for that much-awaited performance. Once you learn a second foreign language, it’s easier to learn more. Acquiring a second language teaches you works and what doesn’t, helping you develop strategies for studying that lead to success. When you achieve fluency in a second language, you know it’s possible, and this can make it easier for you to want to learn additional languages. If you live in or are thinking about moving to an area like Europe with a diverse language population, then you have continued inspiration to learn additional languages. Add to that the abundance of Romance languages in the area, and if you already learned Spanish, then figuring out how to learn Italian is even easier. Whether you travel a lot, live in a foreign country, or often communicate through social media, the ability to speak more than one language opens up the doors for you to make more friends. Language barriers can quickly shut down conversations and prevent friendships from forming. However, if you’re someone who actively tries to speak in the native language of those around you, people will recognize and respect that. You’ll increase the number of people you can communicate with and as a result, form lasting friendships or even relationships. And if you’re a foreigner working in a different country, it’s not just friendships that you can build, but lasting partnerships. Speaking a foreign language can connect you with potential clients where a language barrier would have previously prevented interaction. Perhaps the most important reason to learn a foreign language is that the experience is enjoyable. A language is a tool and the basis for human interaction. And seeing yourself move towards fluency with the best language learning program can make you feel successful about your abilities. The feeling of seeing yourself progress toward fluency builds confidence and inspires continued learning. And if that’s not enough motivation, then add to that the increased amount of experiences you’ll have access to with a second language. Even something as simple as watching a movie without the subtitles or talking to a foreigner suddenly becomes less daunting. The list of benefits for language learning goes on and on while there are no real detriments to learning another language. It may be frustrating at times while you learn and adjust to using your new language. However, like anything, the frustration of learning something new is quickly replaced with the benefits that ability brings. In those frustrating moments, hold on to the knowledge that your life will soon improve with the ability to speak your target language fluently.